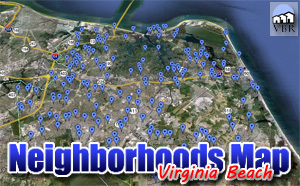 Looking to move to the Brandon Area in Virginia Beach? Super! Here are the Brandon homes for sale! The neighborhood is off of Lake James in Virginia Beach. There’s quick access to Interstate 64 via the Indian River Road exit. The Brandon neighborhood is notably close to CBN, Regent University and Brandon Middle School. Nearby neighborhoods include Charlestown, Alexandria and Amhurst. Homes in the area are in the Tallwood High School District. Need more information? Great! Select the “Ask A Question” button on any home and type in your question. We will get the answer for you and get back to you as soon as we can! Have enough information and you just want to get in and see it? Super! Select “Schedule A Showing” and type in your preferred viewing time and date and we will get you in to see it as close to your time as we are able.